By destiny, we were all hiking the John Muir Trail at the same time. Some were moving, like we were, from north to south, others the opposite, and a few just hiked for a short section. 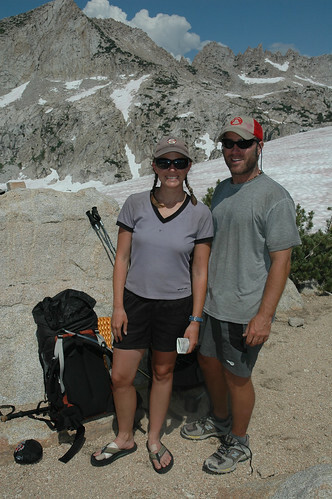 We took a photograph of all of them and posed one question: Why do you hike the John Muir Trail? Here are their answers. 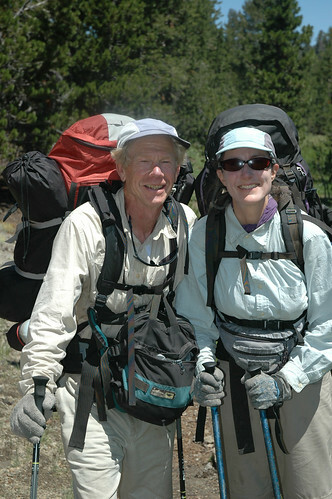 TIM (58) & ANN (39) TIM: We came because we love the mountains, and we love hiking, and if you want to take a long hike in the mountains, the Sierra Nevada is simply the best. 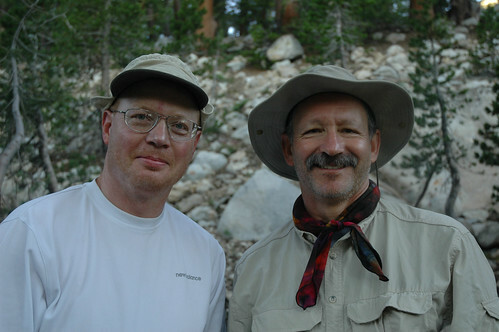 ED: Eddie had spent time in the Sierras since he was young, and always wanted to hike the JMT. He acknowledged that he had just a little time left before that would be a lost dream. So this 2006 trip was a way to accomplish something 'rare' and satisfying for myself, but really a way to assist Eddie to realize his goal. I certainly never had that goal before-- just the goal to re-connect deeply to the outdoors. Naturally, it was more and different from what I expected... I'm still thinking about what that trip meant to me! EDDIE: This hike was the fulfillment of a thirty-six year personal dream born in 1970 when I first visited Rae Lakes. That was my first experience of the JMT. I have since hiked parts of the trail, most significantly the Tuolomne Meadows to Happy Isles stretch. Diana and I took each of our daughters, one at 10 years old, the other at 9, on this hike as their introduction to the Yosemite back country. This completes the dream for me. More trails to hike as the years go by, but this one was so personally gratifying and will be the highlight of them all for many years to come. 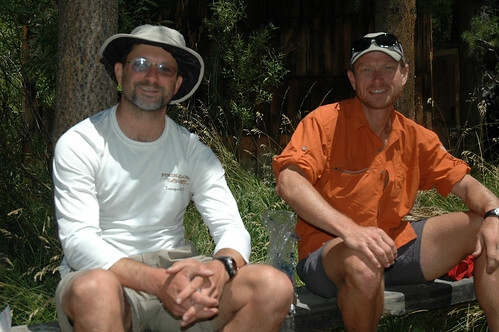 ZACH (32) & KEN (32) ZACH: Why did I hike the JMT? To experience the High Sierras as they deserve to be, and myself within them, I had never seen them before that trip...also, to meet fine people like yourselves...what an amazing experience. 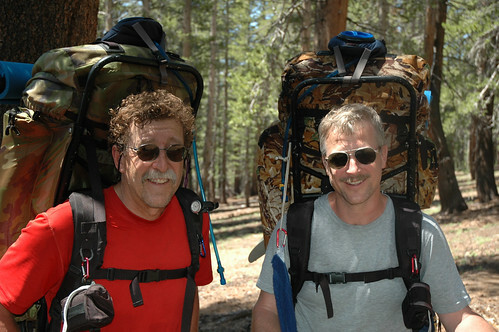 RICK (56) & URS (44) Hiking south to north, this is their third and last section to complete the JMT. Urs is from Switzerland and lives not far from Monika's home town. 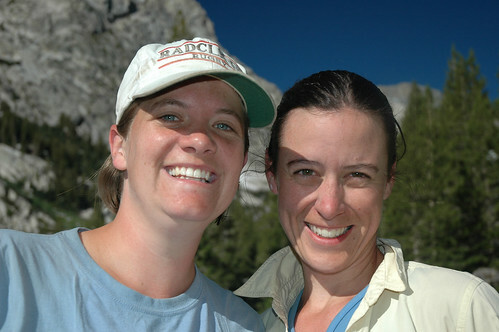 SUE (54) & CHRISTI (22) SUE: I hiked the John Muir Trail to celebrate being five years past cancer. I went as ultralight as I could manage and included five resupplies, so we were never carrying more than five days of food. My husband, daughters and brother hiked various parts of the trail with me, and friends and family brought in food and shuttled cars and hikers. 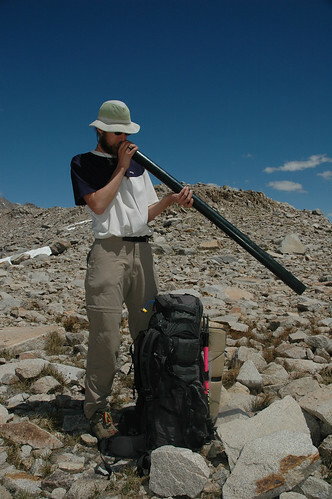 My dream for the future: To spend more time exploring the Sierras! 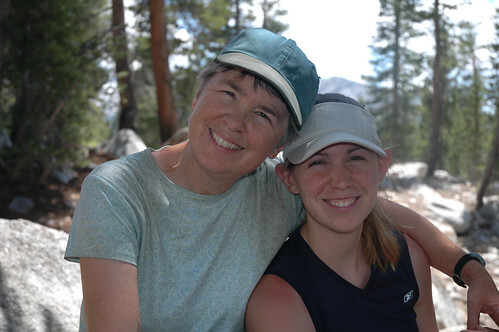 My eldest daughter Christi hiked 100 miles of the trail with me. Monika took this picture of us just after we left Vermilion. JENNY (23) & EDDIE (24) JENNY: We hiked the trail as the main event in our 2 month road trip from Alaska to Vermont after graduating college. My favorite part of the hike was our camp site at Evolution Lake where we were on a peninsula with the most beautiful view of the sun rise and sun set out of out tent. It was breath taking there. EDDIE: We decided to hike the trail as a graduation gift to both of us, kind of a kick start to a new life. By far my favorite moment was hiking across the Big Horn Plateau right at sunset, the night before we topped out Whitney. That was number 1 on a long list of amazing moments and great people we met along the way. 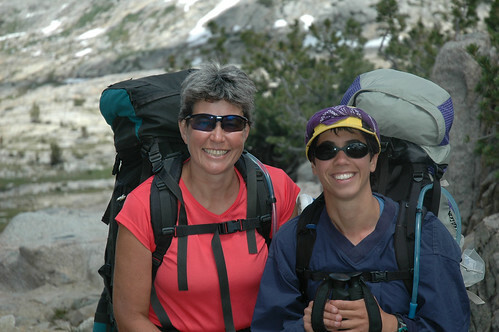 BARB (49) & LYDIA (34) BARB: Being on the JMT makes every day a day to smile for. BARRY (40) & MARTIN (47) BARRY:"A Litte R&R at the MTR" BARRY: 1. 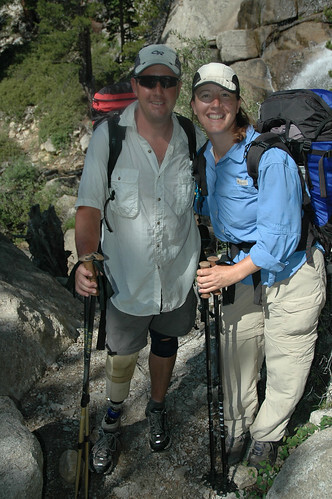 To be out "on the trail" in the Sierra wilderness for 4 weeks. This, it seemed, would provide the challenge - and gift - of "minimalism. To, as much as may be possble these days, get away from the over stimulation of "real life" to the peacefulness, wonder and beauty of the Sierra. 2. For the great exercise of mind, body and spirit. I had lost nearly 15 pounds by the time I got off the trail and felt great! I've regained 10 of it, though. 3. The pleasure of undertaking such an adventure with a good friend. ANDY (17), FORESTER (16) & DEBRA (54) Hiking in the High Sierras. It's a long family tradition! 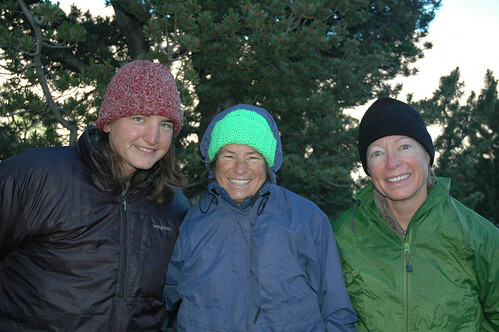 DEBRA: Andy, Forester, and Debra from Durango, CO on their annual Sierra backpack adventure. They come for the granite." 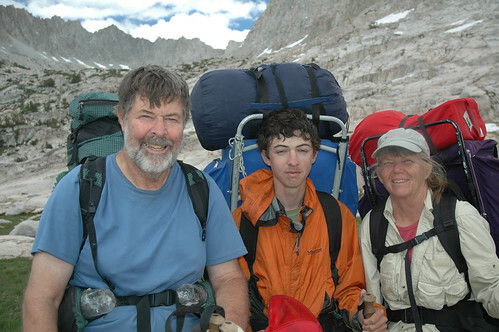 CHUCK, SON CLINT AND FRIEND KAREN CHUCK: Experiencing God’s wonders during 36 days backpacking in the Sierra CHUCK: For the past 15 years, I have been taking Boy Scouts on summer backpacking trips of 7 to 14 days in the Sierra. It usually seemed too soon to leave the mountains, so this year we planned a longer stay. The main point I try to pass on to the Scouts is to appreciate the gift of being physically able to experience the spectacular Sierra environment. Backpacking with my 6 Eagle Scout sons and Girl Scout Gold Award daughter has been a highlight of my life. You may know that Boy Scouting includes coed venture Crews for 14 to 21 year old Scouts; our daughters are able to backpack with the Troops. 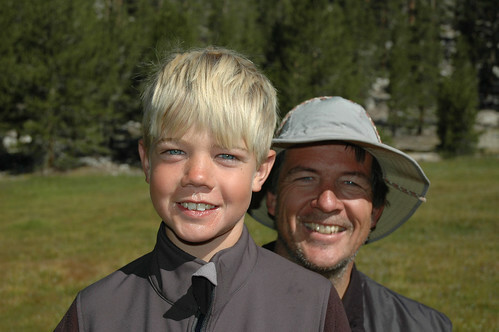 CHUCK: After Gary mentioned the peanut butter in the Muir Trail Ranch hiker bin, my son, Clint, worried our entire hike there that someone else would get the peanut butter. As it turned out, he found two jars of peanut butter. As you may be aware, teenagers can carry whatever they want. 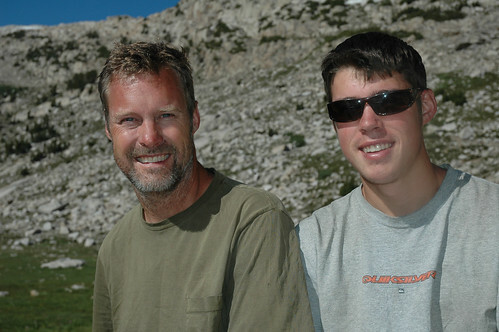 LYNN (46) & GUNNER (18) LYNN: We hiked the JMT to fulfill a long time dream of mine and as a final father-son adventure before Gunner headed off to college. 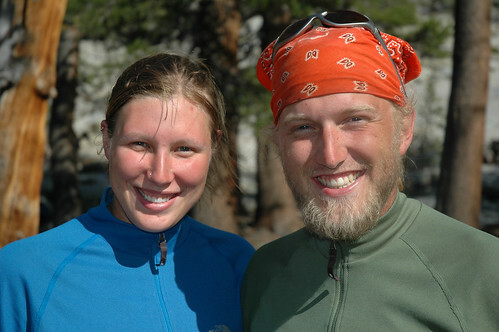 ALICE (28) & LISSA (28) LISSA: I went on the JMT because I've wanted to do a long distance hike since I realized what the AT was in 1995, and when I found the PCT I knew that was the trail for me! But 6 months is a little hard to swing, so a 3 week hike through the best of the trail seemed like a good compromise. And Alice - a teacher with summers off and a penchant for outdoor adventure - was a friend I could convince to come with me. 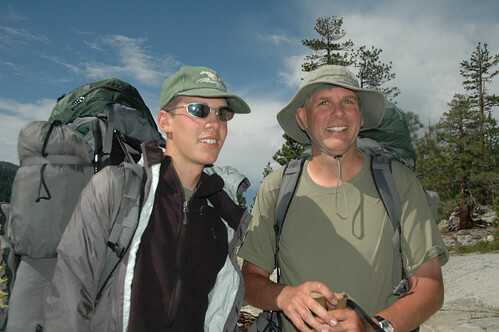 The JMT was a highlight life experience for me - I loved almost every minute of it, and learned that good planning combined with a 'Just Keep Swimming" attitude can get you there if you let it. Oh - and that Snickers really are great trail food. VINCE (44) Boy Scout and Elementary School Teacher hiking solo. IAN The girls loved his sense of humor. 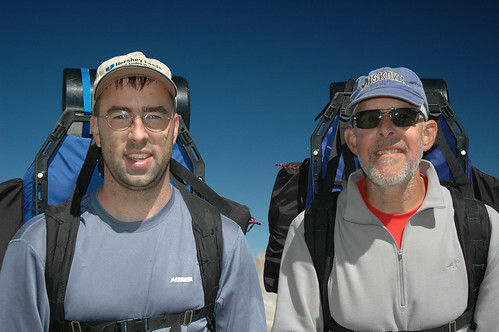 ERIC (34) & BOB (61) MONIKA: Bob hiked with Llamas part of the JMT and was commonly known as "Llama Bob" up and down the trail. 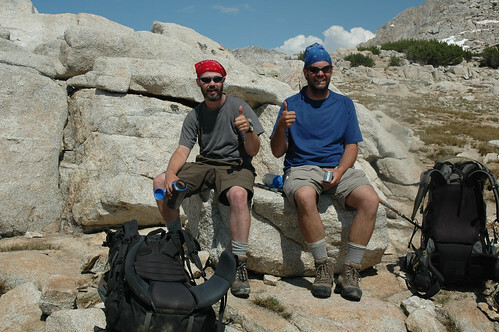 ERIC: I was 34 when I hiked the southern end of the trail from Kearsarge pass to the Whitney Portal. Even though I hiked with my Dad "Llama Bob" I unfortunately never got to meet the Llamas. I say unfortunately because I became "Eric the Llama" with a heavy pack. I thought my pack was perhaps a pound or two heavier than my Dad's, but since I am almost half his age, was fresh onto the trail without having already hiked over 100 miles, and I did not have a pacemaker that limited the maximum rate that my heart could beat and therefore the amount of oxygen I could breath in the thin air, I felt it was my turn to pick up the extra weight. On previous trips my Dad and I have taken he carried a good bit more than his fair share. We were not able to weigh our packs until we were done at the Whitney Portal at which point it became clear that we both had been carrying heavy packs. My Dad and I had a great week. I owe thanks to my wife who was 7 months pregnant at the time and stayed home with our 4 year old son to enabled me to take this great trip. I am waiting for a few years before I take my son backpacking but looking forward to it, knowing that I will have to lighten his load for the next few years after that. 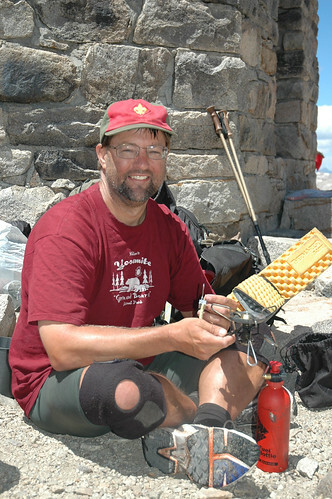 BOB: Many years ago, I had been to the far eastern end of the road in King's Canyon National Park, which allows a great vista of the high peaks and wilderness that the John Muir trail passes through. I decided at that time that it was the trail I wanted to hike as soon as I had the time. For me, the unending magnificence, the solitude and the challenge made it an unforgettable experience. JEREMY (9) & NIK (47) MONIKA: In amazement, we watched this little figure across the meadow setting up the tent hopping around like a frog. What energy at the end of a long day!! Later it turned out to be Jeremy who had already summited Mt. Whitney twice! 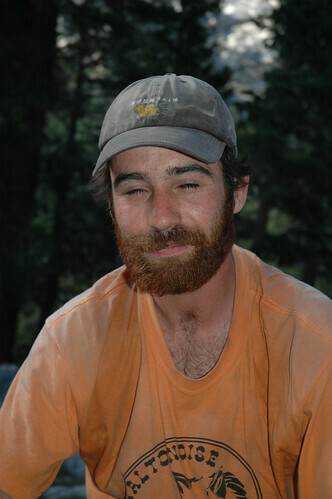 JEREMY: I like hiking in the Sierras because I like to fish at rivers and lakes. I love spending time with my dad in the Sierras.